Purpose of This Cost Comparison. 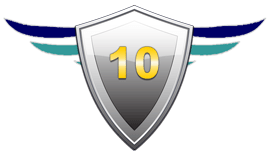 Most companies in the merchant payment processing industry are not willing to publish their total cost of service transparently and publicly. That’s their prerogative, but the AngelPay Foundation is committed to providing the most transparency and simplicity possible to our Members. Our comprehensive cost comparison analysis is a reflection of this commitment. AngelPay Provides a True Apples-to-Apples Cost Comparison. 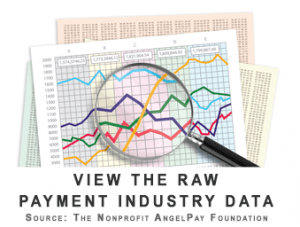 The “Markup %” amounts listed in the raw data table (visible when you click the magnifying glass image link above) are based on publicly available pricing data for each payment processing company’s services. It’s important to understand that payment processors often bundle the card associations’ (aka the Visa / MasterCard / Discover / Amex card networks) unavoidable Interchange fees into their own pricing to simplify their pricing structures. However, many commercial payment processors have a financial incentive to obscure an important fact: All payment processors and their merchants must pay the exact same amount for each type of payment processing transaction. Thus, we subtract the standard Interchange fee from their listed prices to reveal their true markup, which enables us to make an accurate apples-to-apples comparison among all merchant services and payment processing providers. Interchange Fees Function More Like a Tax than an Expense. The credit card associations function as quasi-governmental organizations by imposing the same Interchange Fees on all merchants equally for each type of transaction. This is exactly the same way that sales taxes work: All companies are required to charge their customers the same transaction tax based on their state or national sales tax laws. This is an important point to understand because it helps to explain why comparing markups (excluding Interchange) between payment processors is even more important than comparing the “All-In” cost. Specifically, the reason comparing markups is more important is because the All-In cost includes the Interchange Fee, but no processor has control over the Interchange Fee and they cannot claim to add any value in exchange for the Interchange Fee. For the same reason, no company can legitimately claim, “We offer better sales tax rates!” in their marketing materials. Beware of Mysterious Companies Offering Unsustainable Teaser Rates. There are some companies with no track-record and no substantive historical background on their websites who make subjective claims about their “industry-leading payment processing solutions”. These companies sometimes claim to provide their services at prices below AngelPay’s nonprofit membership dues. Of course these companies are for-profit resellers operating at a loss, hoping they can attract enough customers to eventually break even. That is not a sustainable business model and those companies will most likely collapse, which will create many problems for their customers. AngelPay Controls Its Own Infrastructure and Costs. 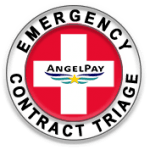 As a nonprofit payment processing platform with highly efficient and automated systems that our team has owned and controlled for decades, AngelPay can legitimately deliver our services at the lowest possible cost in the industry without compromising the quality and reliability of our services. This is an important contrast to the vast majority of other companies in the merchant payment processing industry. The Data is Clear and Compelling. Most payment processing companies are constantly fiddling with their publicly advertised prices; so the rates they quote you may be slightly different than the rates that we found during our investigation. Nevertheless, all data provided by AngelPay is fairly presented within the proper context. 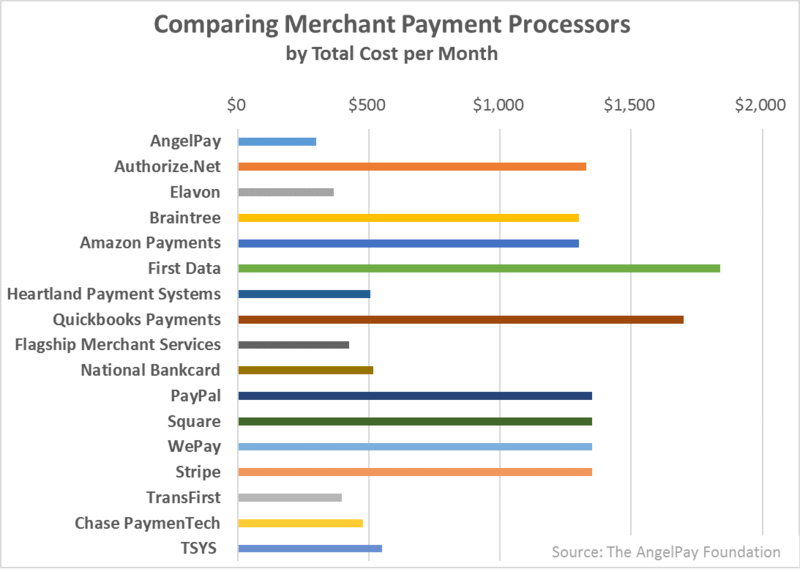 Based on all available data, the overall conclusion is clear: No other payment processing company can sustainably deliver the value that AngelPay provides: decades of experience, exceptional reliability, simplicity, and the lowest cost structure in the industry. The company’s price must be publicly published and independently verifiable. The price must be available to at least 90% of the company’s customers with no strings attached. The price must remain in force for at least 60 days from the time we first see it publicly published.